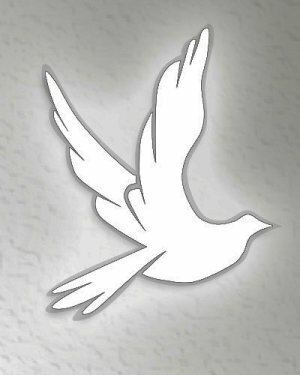 Irene Elizabeth (Iman) Riggleman, 77, of Evans, WV, passed away January 17, 2019, in Eldercare Nursing and Rehabilitation Center, Ripley, WV, following a brief illness. She was born November 23, 1941, in Fort Ashby, WV, a daughter of the late William and Clara (Bosley) Iman. Her husband, Rev. Availen A. Riggleman; brothers, Bruce Bosley and William Iman Jr. also preceded her in death. She was a licensed minister and pastor’s wife with the Church of God and Assemblies of God. She was a former clerk for Heck’s, a switchboard operator and seamstress in a sewing factory. She was a member of the Evans Church of God. Survivors include her children, Andrew A. 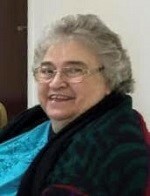 (Tina) Riggleman of Manson, NC and Rev. Benjamin F. (Barbara) Riggleman of Evans, WV; daughter, Victoria F. (James) Ferguson of Fort Gay, WV; brother, Samuel (Frances) Iman of Moorefield, WV; grandchildren, Ashley, Brittany, Mitchell, Nicholas, Lee, Dustin, Christopher; great-grandchildren, Jesse J. and Samuel L.
Visitation will be from 5 p.m. until 7 p.m. Friday, January 18, 2019 in the Evans Church of God, Evans, WV, with a prayer service beginning at 7 p.m. officiated by Rev. Benjamin Riggleman. Service will be 11:30 a.m. ~ January 19, 2019 in the Schaeffer Funeral Home, Petersburg, WV, with Rev. Benjamin Riggleman officiating. Burial will follow in the Lahmansville Cemetery, Lahmansville, WV. Visitation will also be 1 hour prior to funeral service on Saturday in the Schaeffer Funeral Home. Arrangements provided by Casto Funeral Home, Evans, WV and Schaeffer Funeral Home, Petersburg, WV.